A modern classic with timeless appeal. This men's designer gold ring featuring a polished slightly domed profile trimmed with milgrain edges. 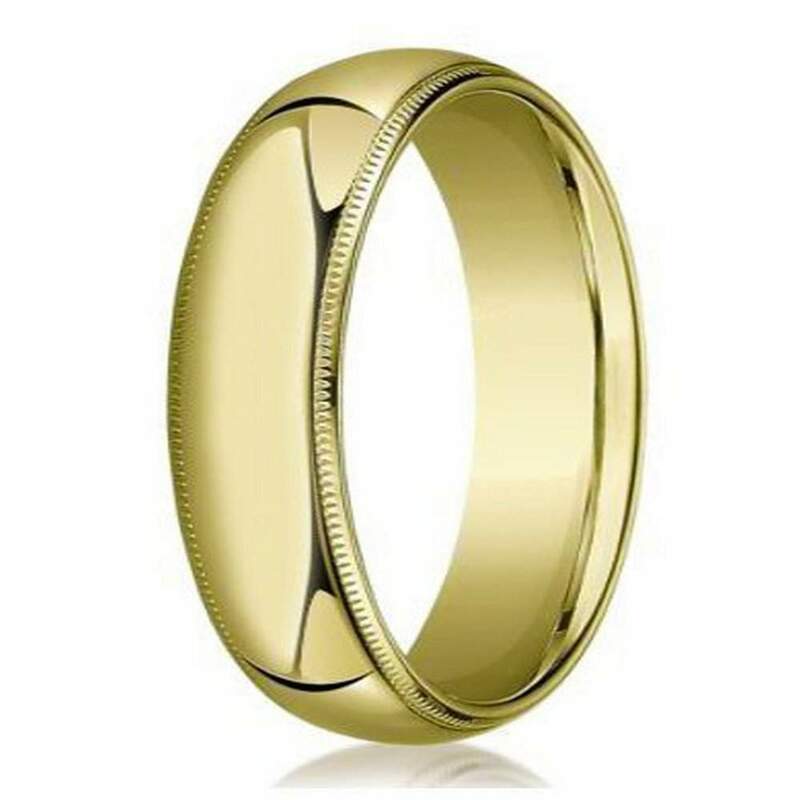 Made of rich 14K yellow gold, this 6mm comfort fit men's gold wedding band melds elegant style with ease of wear.Comfort fit rings usually measure 1/2 size smaller due to the additional metal inside the ring. We recommend having your finger measured for a comfort fit ring at your local jewelry store. I had an odd engraving request - a mispelling on purpose. They double checked with me to be sure it was what I wanted and then got it engraved and out to me in quick order. The ring is just as advertised and a whole lot cheaper than the local jewelry store. Thanks.